After almost a year since the last round of intra-Syrian talks in Geneva collapsed, on UN Special Envoy for Syria Staffan de Mistura will apply his diplomatic skills in a renewed attempt to bring diverse factions of the Syrian opposition and the government delegation to the negotiation table and have them discuss political transition. MOSCOW (Sputnik) — Delegations have already started to arrive in Geneva, where the talks will officially kick off on Thursday, February 23. The last round of the UN-mediated talks were held in Geneva on April 13-27, but collapsed after the Riyadh-formed High Negotiations Committee (HNC) opposition group had walked out of the negotiations, citing the continuous fighting in Syria and the lack of progress on humanitarian issues. Compared to the previous rounds of Geneva talks, the upcoming one is seeing considerable changes in the composition of participants from the opposition side. The point of contention at each of the previous rounds of intra-Syrian talks was the inability of various opposition factions to find common ground and form a single delegation. De Mistura even warned that he would decide on the composition of the joint delegation himself should Syrian opposition members fail to do so before the start of the new round in February. Eventually, the HNC umbrella organization, which had previously insisted on its exclusive right to represent the opposition, changed the delegation, apparently trying to make it look more balanced. The HNC published the list of 21 participants on social media on February 12. Syrian lawyer Mohammed Sabra was named as the chief negotiator, replacing Mohammed Alloush from the Jaysh al-Islam group, who announced the decision to leave his post in May 2016, citing the failure of the previous Geneva talks. Sabra chairs the Syrian Republican Party that was established in Turkey in 2014. He was mentioned as an independent candidate. Naser Hariri, a representative of the National Coalition for Syrian Revolution and Opposition Forces, will head the delegation, according to the statement. The HNC also included Khaled Mhameed, a member of Cairo group on its list, not in the capacity of the official Cairo group representative, but rather in that of a non-partisan representative. The updated version of the HNC participants list also includes Alla Arafat, a representative of the Moscow platform. 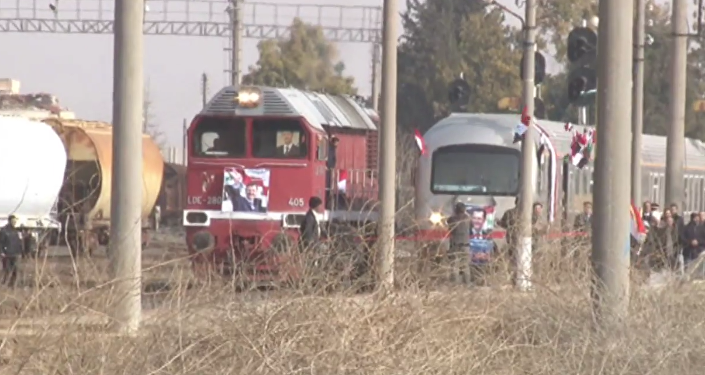 Importantly, the HNC delegation will include representatives of the militant factions from both the south and north of Syria. Among those factions' representatives are leader of Jaysh al-Islam group Mohammed Alloush and Free Syrian Army general Bashar al-Zoubi. The Cairo group, headed by Jihad Makdissi, was also invited by the United Nations, will take part in the talks separately from the HNC. The Moscow platform was invited at the very last moment. Prior to this, its leader, Qadri Jamil, had already rushed to announce he would not participate in the upcoming talks in protest of de Mistura's alleged preferences to Riyadh-backed HNC opposition and disregard toward platforms. Late Tuesday, however, he stated that he was eventually invited and would come to Geneva. What makes the upcoming round of Geneva talks new is most certainly the changed global context in which the negotiations are going to take place. First, Russia-Turkey-Iran troika was formed as a result of several rounds of Astana talks since the beginning of the year. Although the International Syria Support Group (ISSG) still exists, with Russia and the United States being its co-chairs, it is now the newly-formed troika. These nations are viewed as the key decision-makers on Syria. Second, forming of the new US administration has not yet been completed. It is still unclear who is going to replace Michael Ratney as the US Special Envoy for Syria, and what the overall US policy on Syria will be. Third, during the Astana talks in late January, Russia submitted to the Syrians the draft project of a new Syrian constitution. Although military groups refused to review it, and insisting there should be the ceasefire first, constitutional proposals may become the main issue on the agenda at the political dimension discussions in Geneva. The draft prepared by Russian experts suggested, among other things, the removal of the word "Arab" from the official name of the country, expansion of the parliament's powers, removal of the army from political life, giving equal rights to the Kurdish language with the Arabic in the Kurdish "cultural self-ruling systems," as well as the taking away of the president’s right to dissolve the parliament. The draft was later sent to de Mistura. The Russian delegation at Astana repeatedly insisted the project was submitted merely the purposes of consideration, and that Syrians are the only ones who can decide on their future. A schedule and process for drafting a new constitution, the establishment of a credible, inclusive and non-sectarian governance, and call for free and fair elections, pursuant to the new constitution, is what the new round of Geneva talks is going to focus on, according to de Mistura’s office. 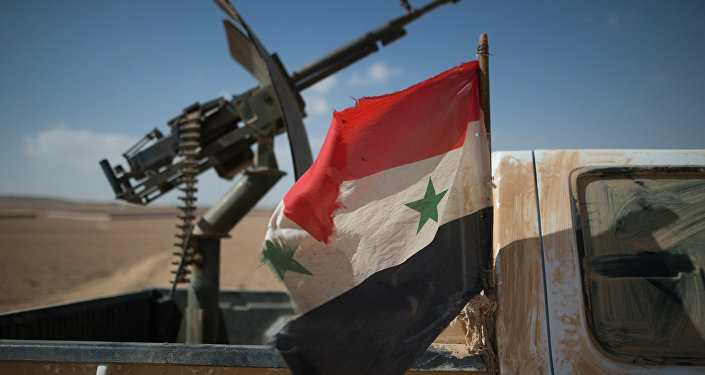 Moreover, the latest round of Astana discussions in mid-February showed that representatives of the Syrian military factions do have a negotiating potential. As such, some of those who attended Astana consultations will come to Geneva as well. Having all the aforementioned changes in mind, one may hope the new round of the UN-mediated talks will drive the six-year-long conflict settlement process out the deadlock.